Bundesliga | Bürki, Fahrmann, Weidenfeller or Nübel – who would be YOUR Schalke/Dortmund dream team goalkeeper? Bürki, Fahrmann, Weidenfeller or Nübel – who would be YOUR Schalke/Dortmund dream team goalkeeper? The four candidates are: Roman Bürki, Ralf Fährmann, Alexander Nübel and Roman Weidenfeller. Cast your votes in the poll below! There’s essentially a two-horse race to be named goalkeeper in our Revierderby XI, between Schalke’s Fährmann and Dortmund’s Bürki. A pure product of the Schalke youth academy, Fährmann was promoted to club captain by Domenico Tedesco last summer, and has returned the favour by providing solid foundations for his side’s UEFA Champions League push. The Royal Blues have the joint second-best defence in the Bundesliga, thanks in no small part to Fährmann winning nearly 87 per cent of his one-on-ones. The 29-year-old, who has played every single minute in the league, has made a total of 82 saves and boasts a league-high 11 clean sheets, having conceded 33 goals. 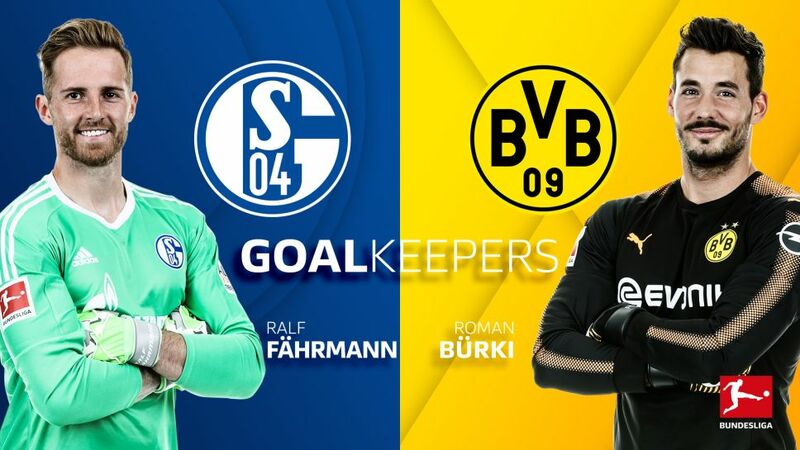 To give you an idea of just how evenly matched the two stoppers are, check out Bürki’s stats for Dortmund: 83 saves, 11 clean sheets, 35 goals conceded. The Switzerland international may have won slightly fewer one-on-ones than Fährmann - around 83 per cent - but his distribution is better, with a successful pass rate of 73.2 per cent to the Schalke man’s 64.2. Veteran Weidenfeller has only made a single Bundesliga appearance this season, but it was a memorable one — the remarkable 4-4 draw in last November’s Revierderby — while Schalke’s 21-year-old Nübel has only played a minute in the top flight, back in May 2016.